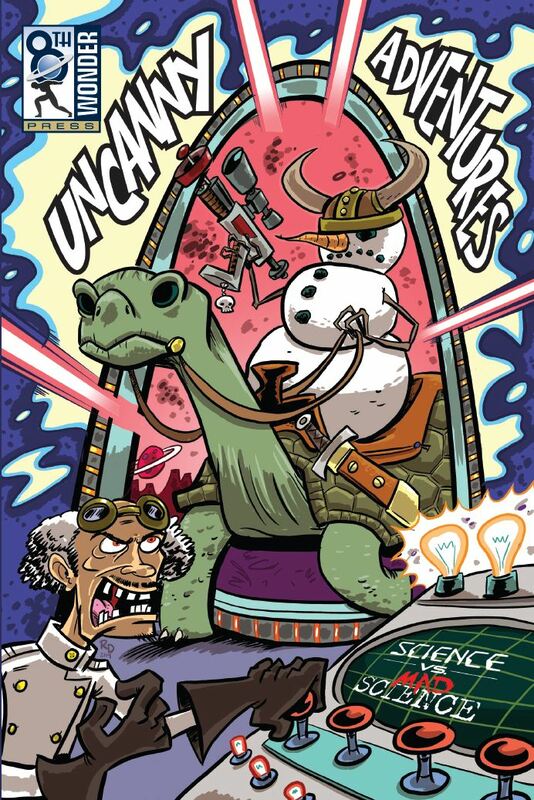 Uncanny Adventures: Science vs Mad Science features 18 brand new stories by 28 creators. It’s a murderer’s row of terrific comics, all wrapped up in a brand new cover by Ryan Dunlavey, the creator behind MODOK: Reign Delay and artist of The Comic Book History of Comics and Action Philosophers. 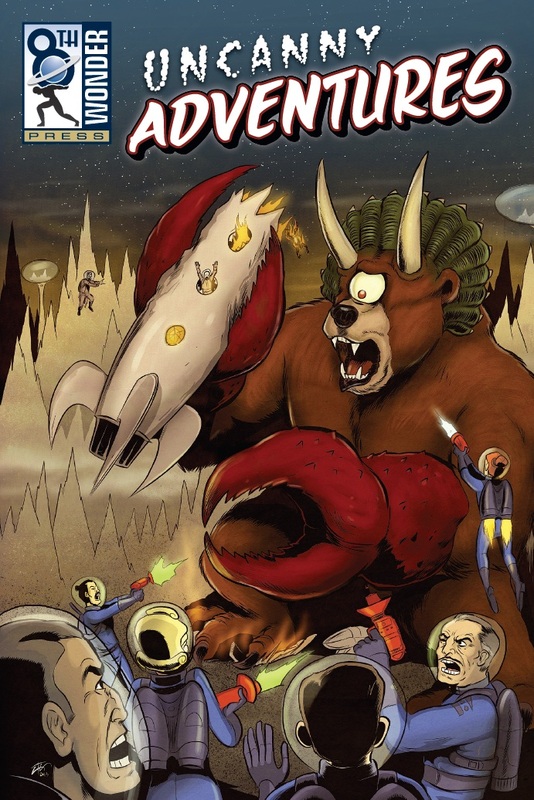 Uncanny Adventures: Science vs Mad Science debuted at Denver Comic Con June 13-15, and is available through amazon.com. For bulk or retailers purchasing information, contact sales@8thWonderPress.com.